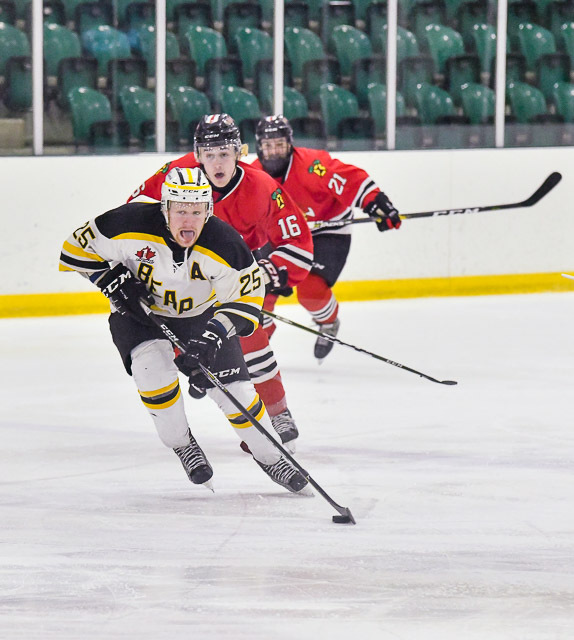 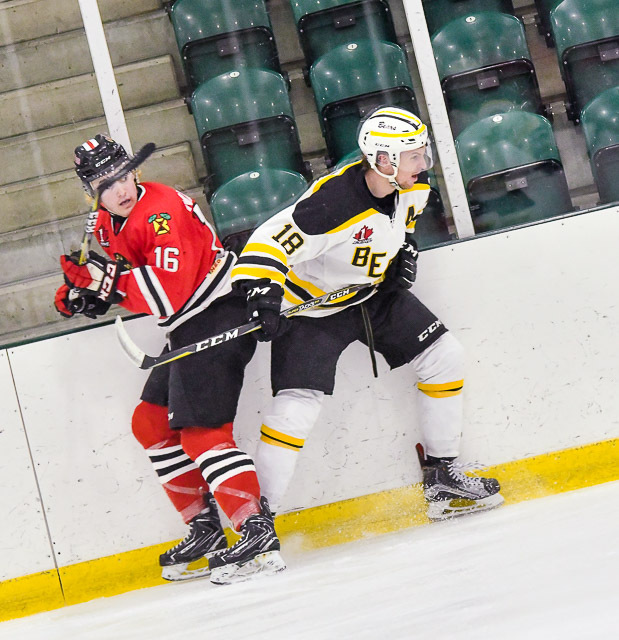 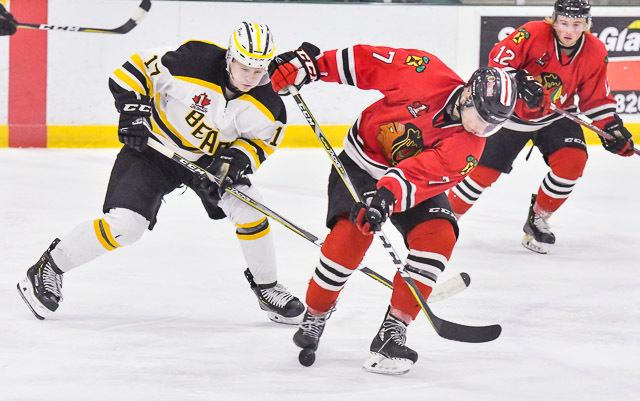 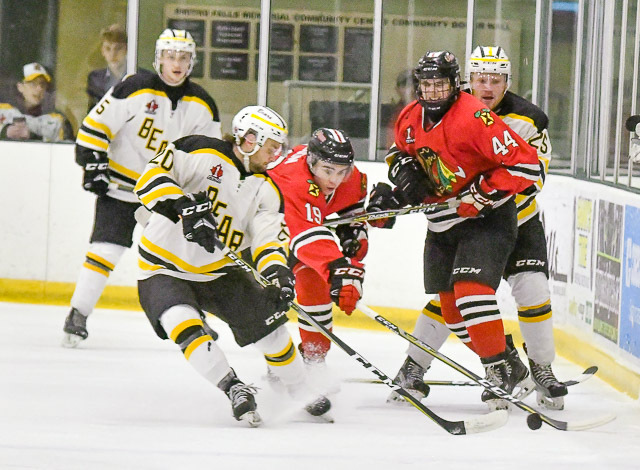 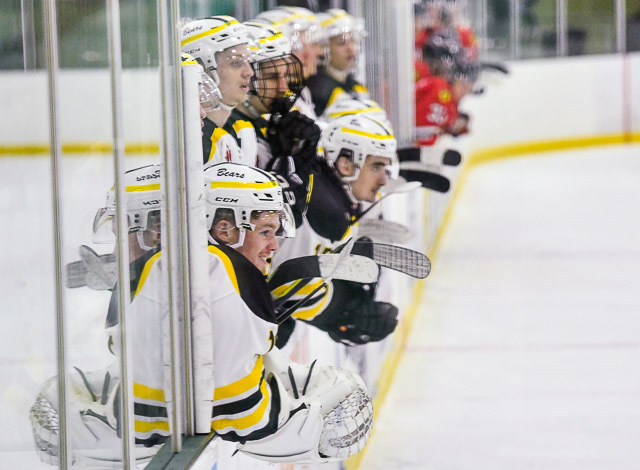 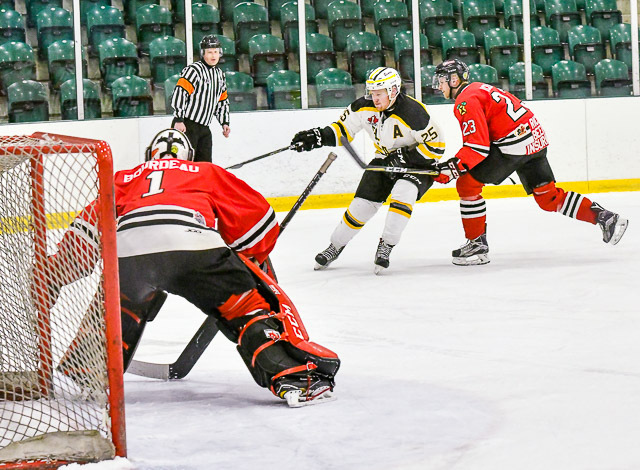 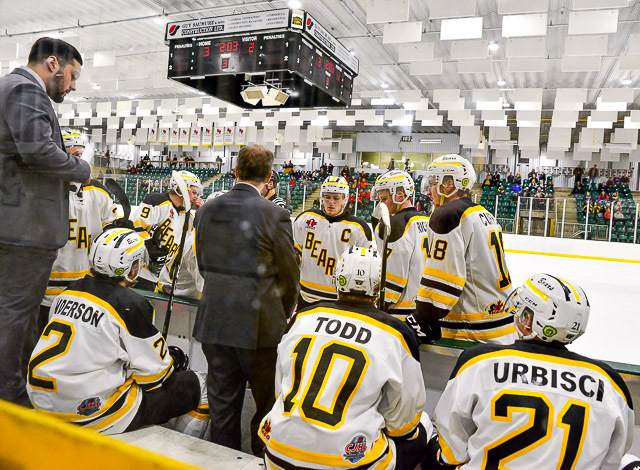 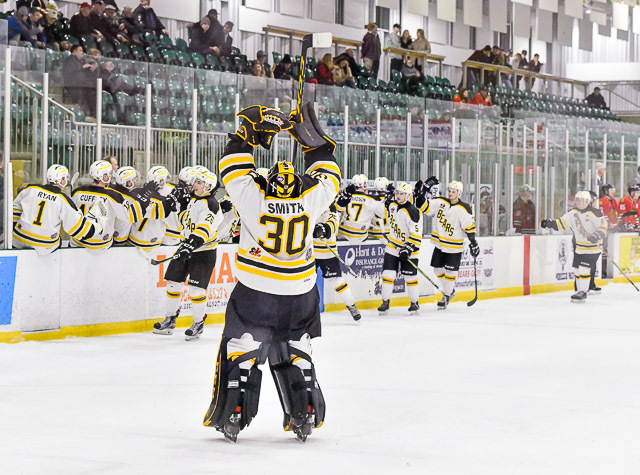 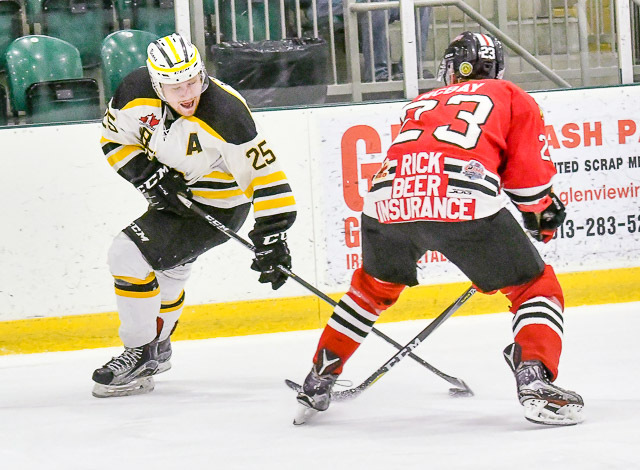 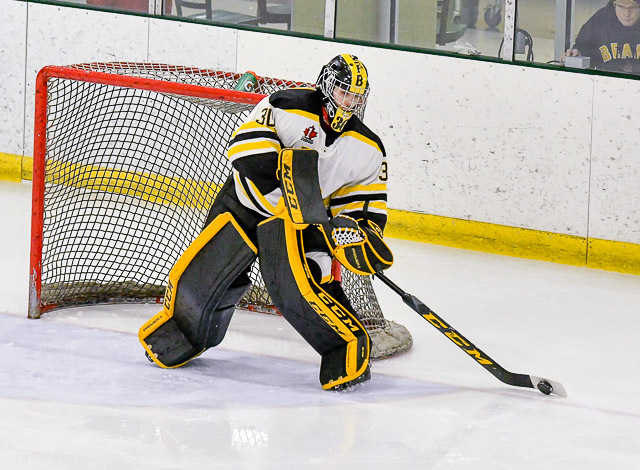 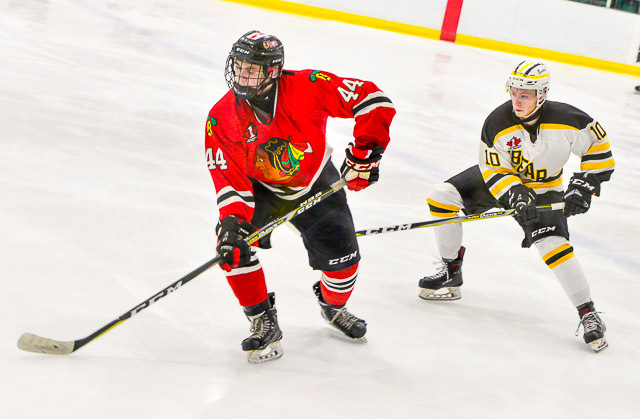 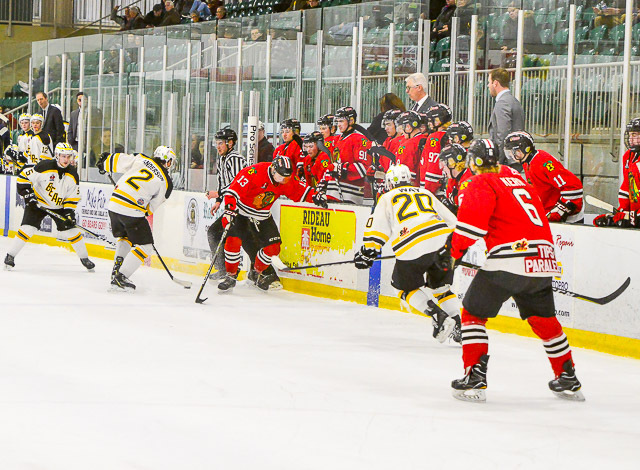 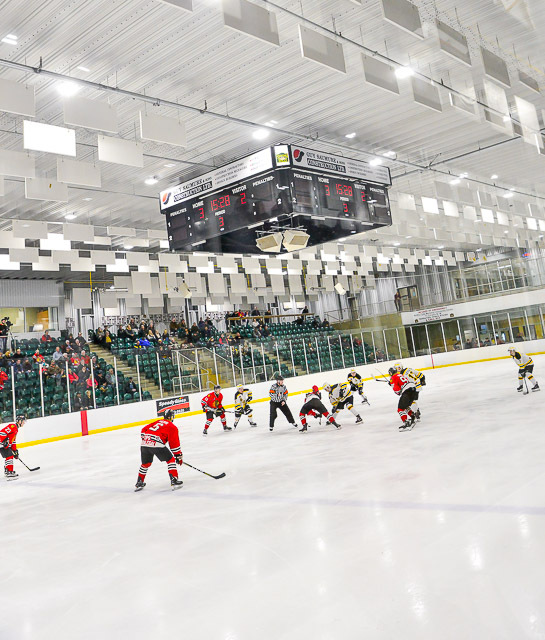 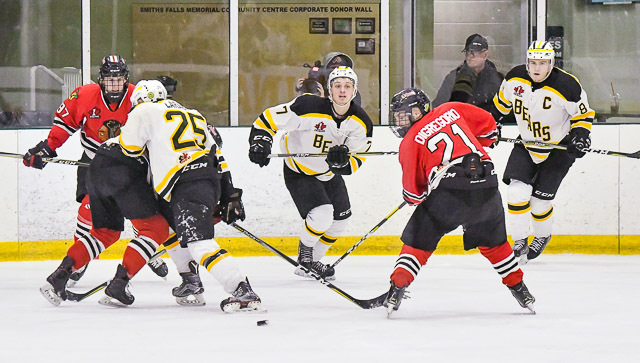 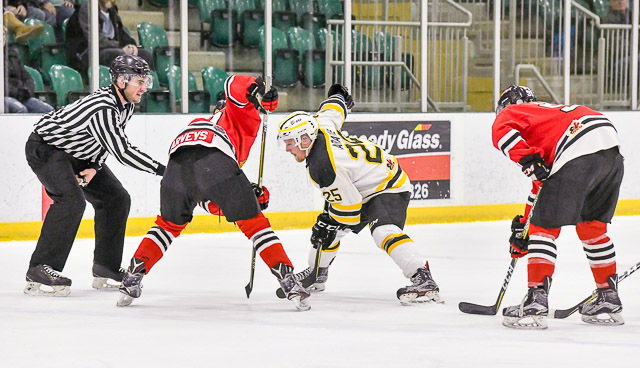 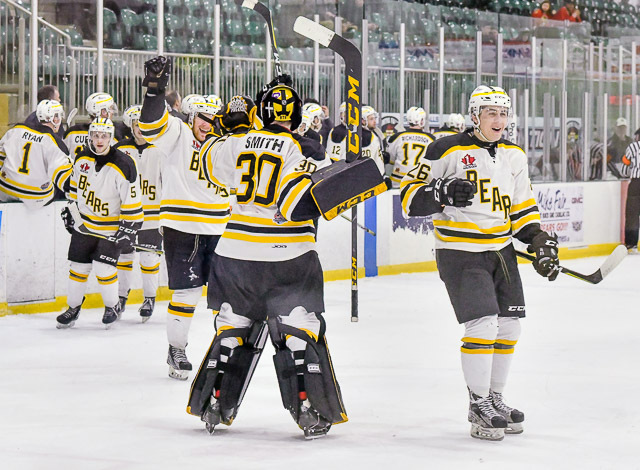 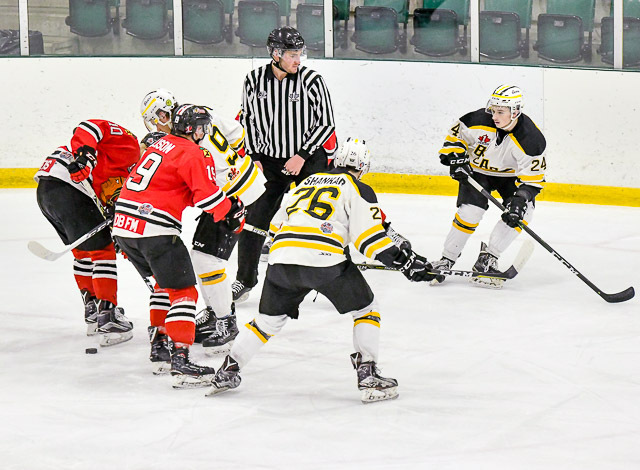 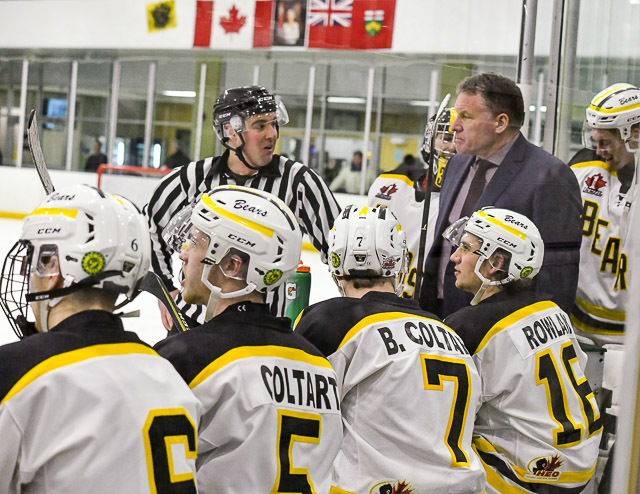 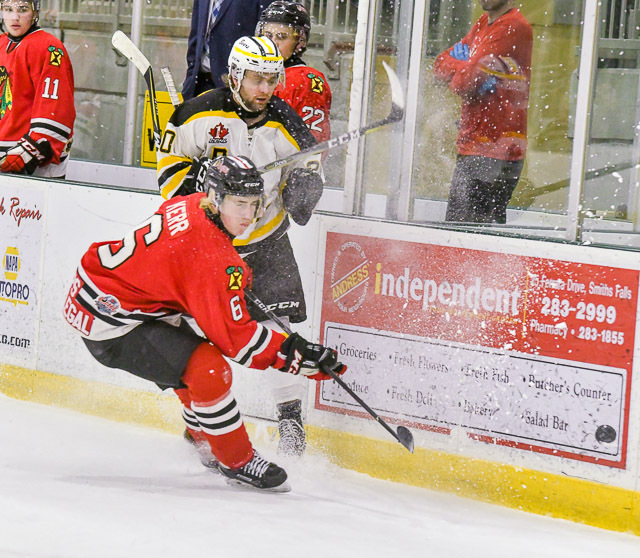 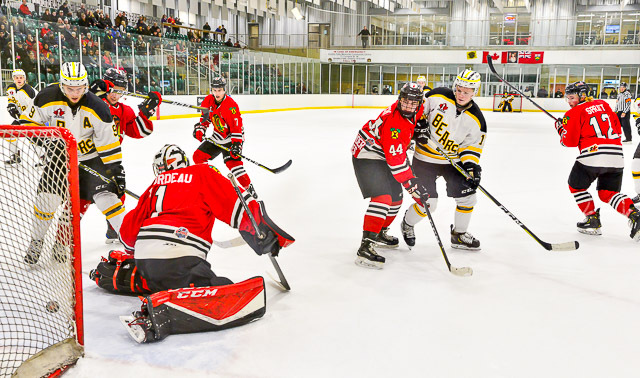 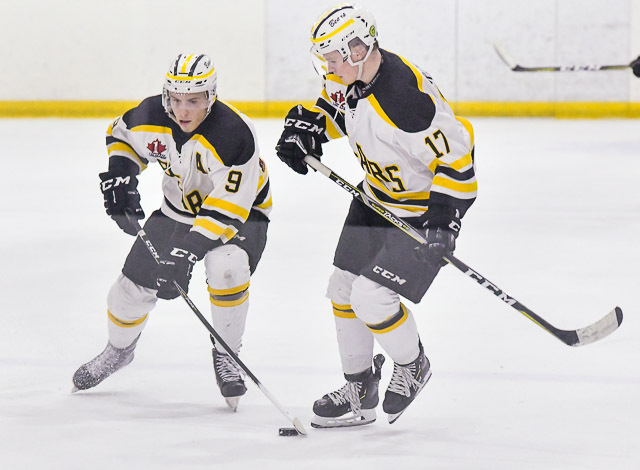 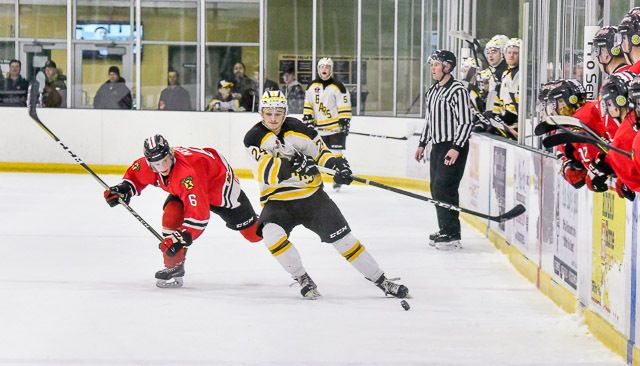 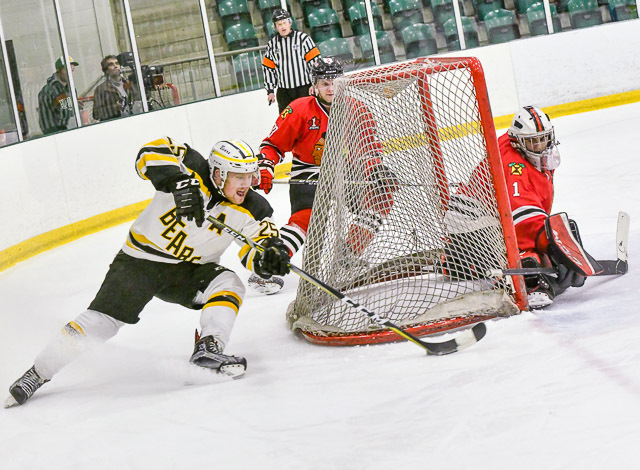 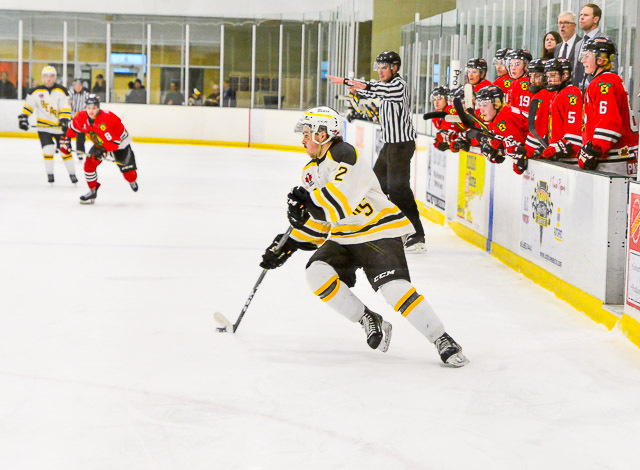 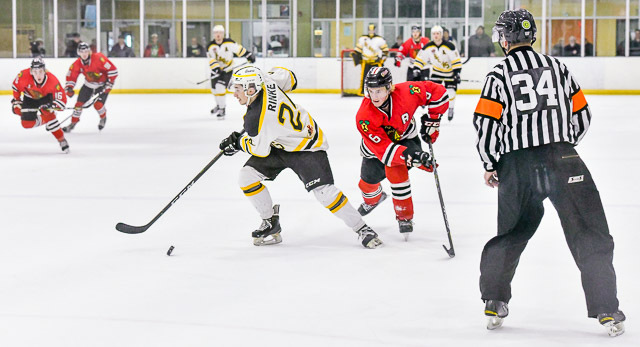 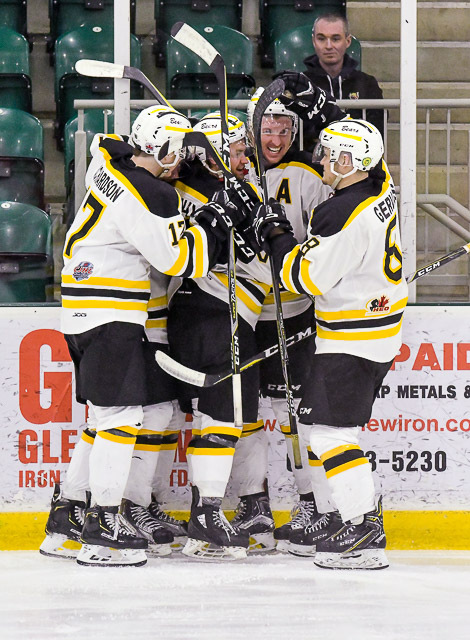 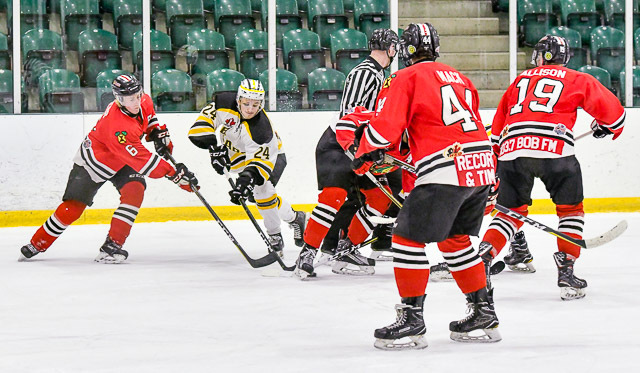 The Bears faced the Brockville Braves in a late night game Sunday at the Den for the fourth game of the first playoffs round. 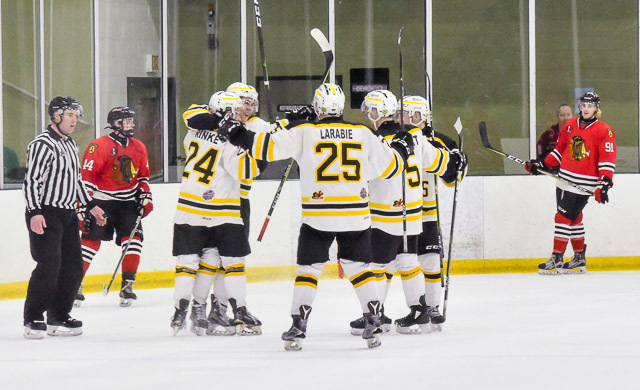 With three losses already it was all or nothing for the team, but they pulled through to a 5-2 win. 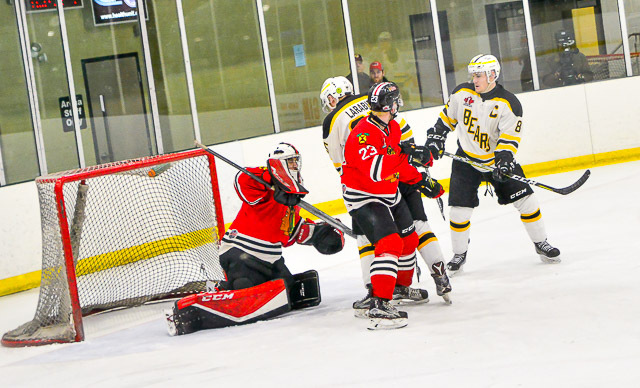 Scott Gervais scored first at 12:20 in the first period, assisted by Tate Leeson and Fletcher Anderson. 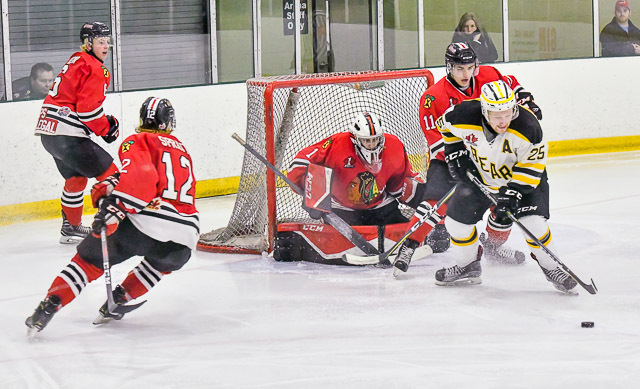 Brockville pulled even with goal by Simon Kerr at 14:55, utilizing a powerplay advantage squarely due to one of often avoidable penalties. 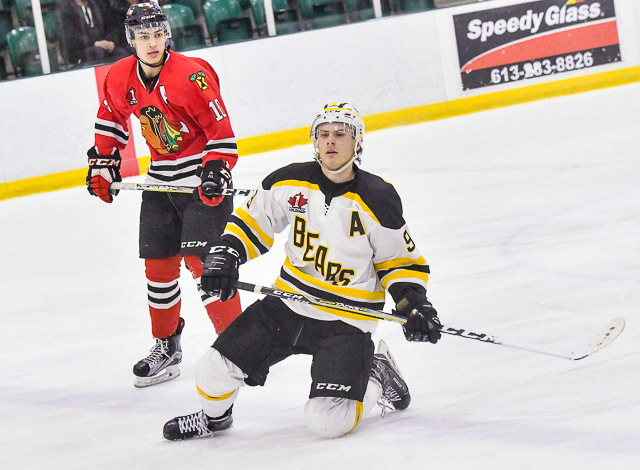 However Joey Warywoda managed to bring the Bears ahead also with a powerplay goal at 19:32, assisted by Bruce Coltart and Tate Leeson. 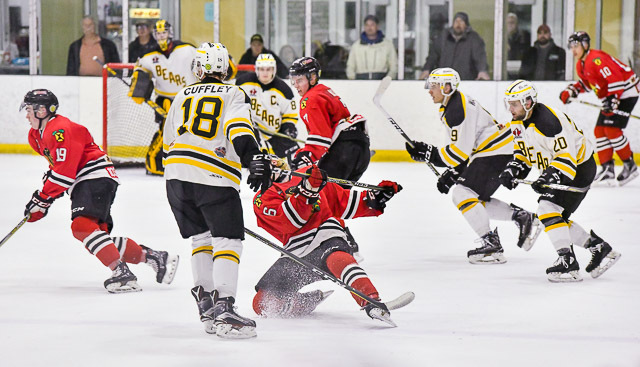 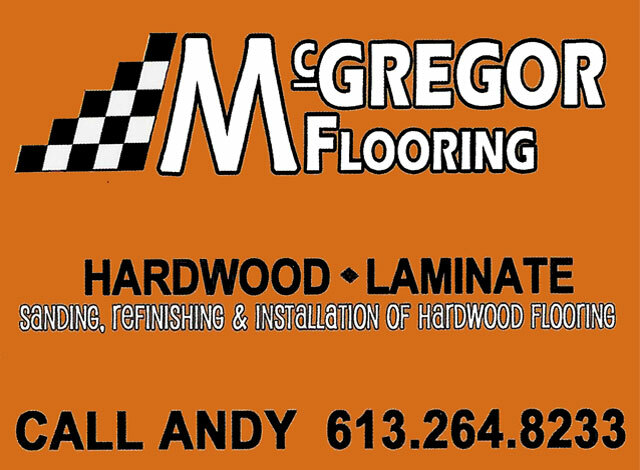 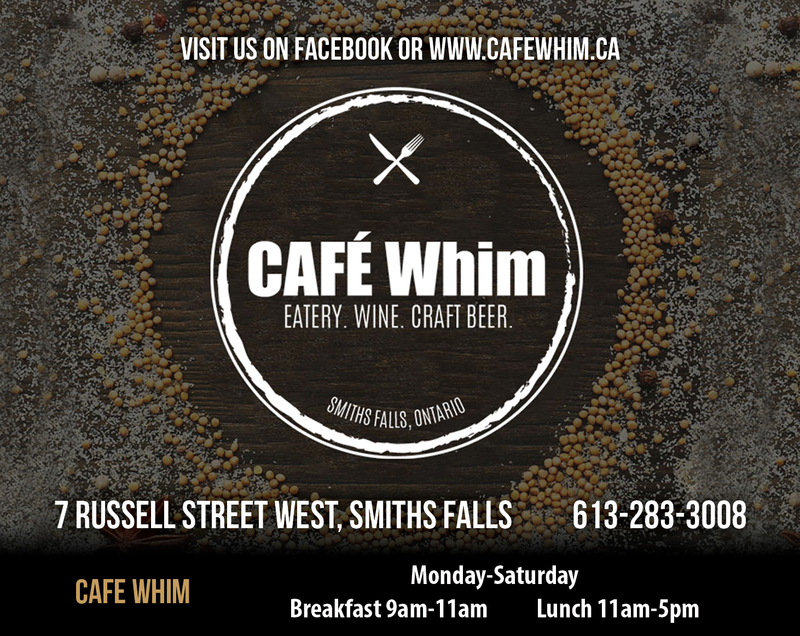 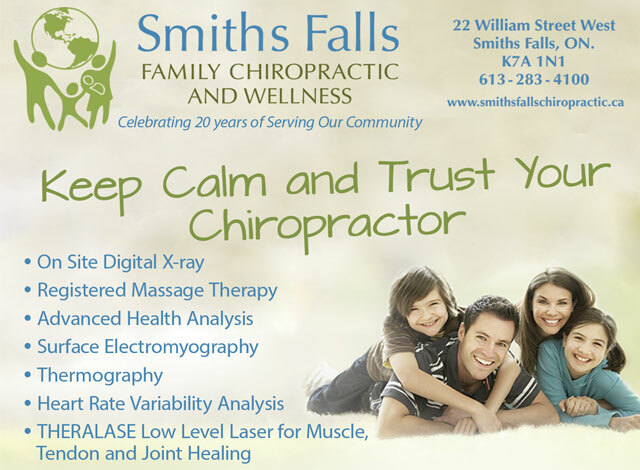 Brockville evened the score board again early into the second period with a goal by Christophe Cote, the only goal of that period. 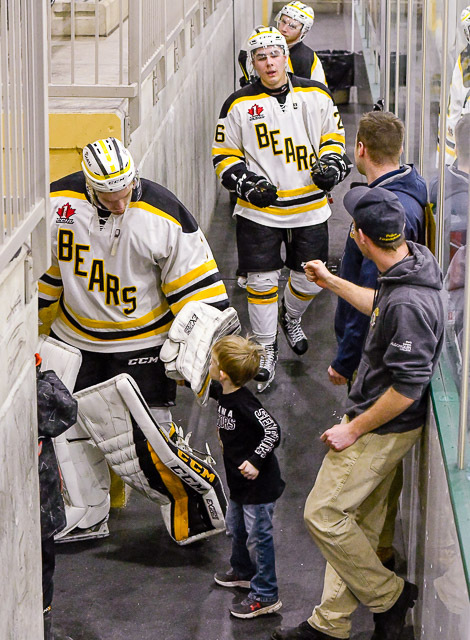 But the Bears got fired up for the third period. 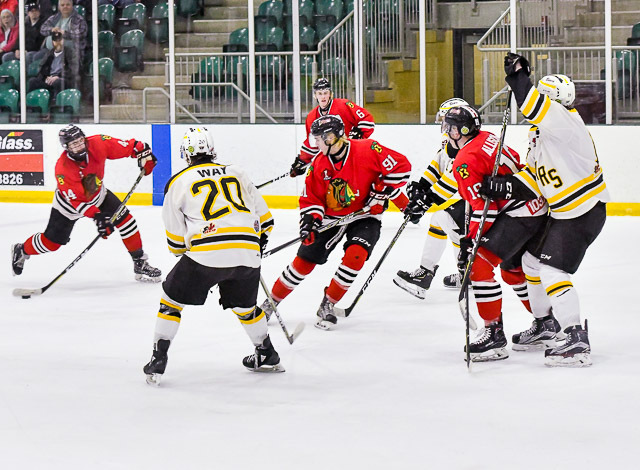 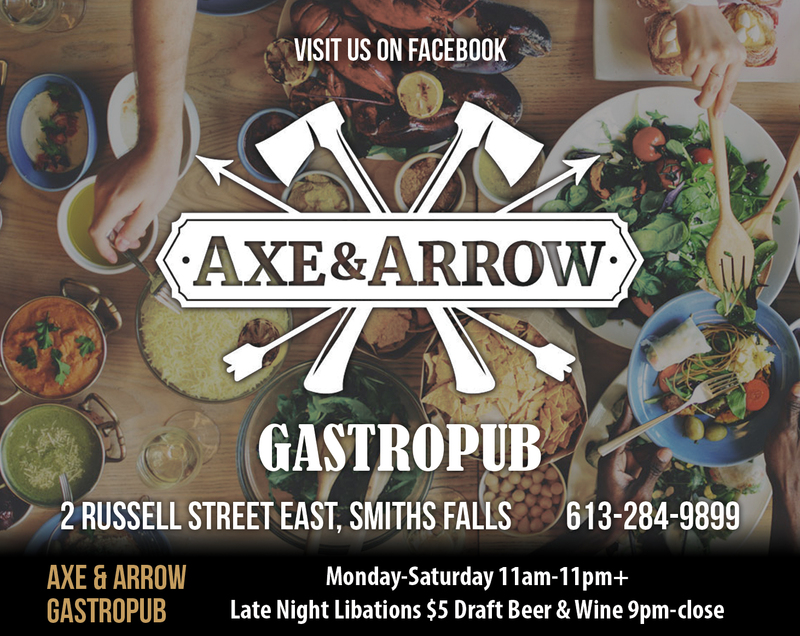 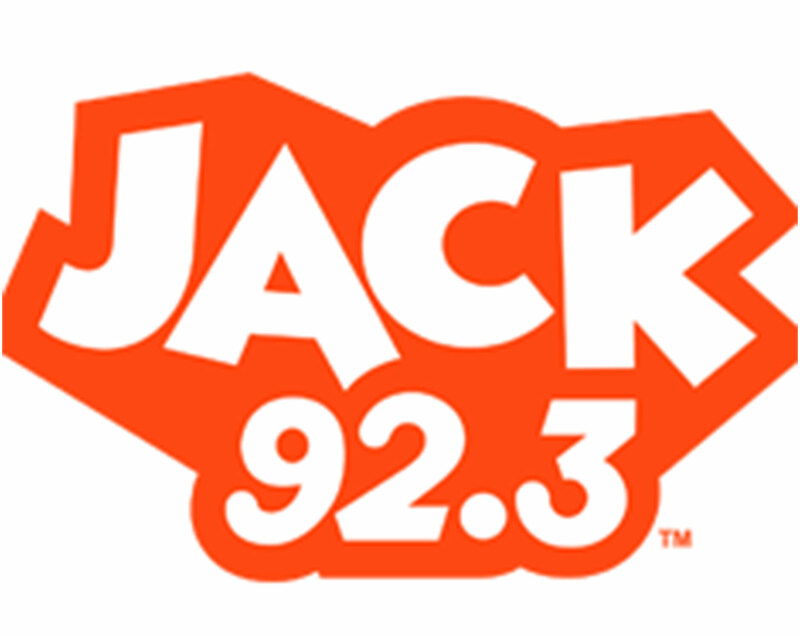 First, Alexandre Way shot an unassisted goal at 4:32, then Jacob Shankar, assisted by Scott Gervais, hit the empty net at 18:40, and finally Jacob Cuffley, assisted by Mitchell Larabie, scored the last goal at 19:28. 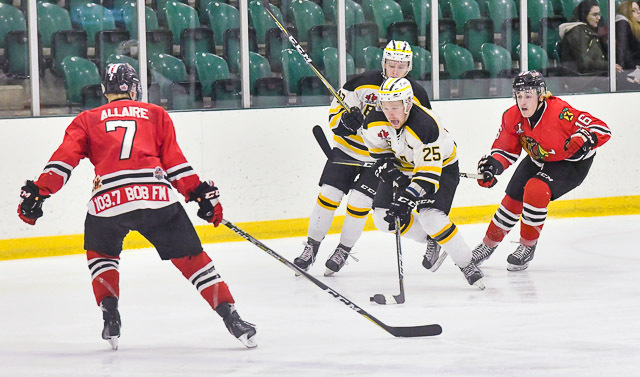 First Star of the game was awarded to Scott Gervais, Second Star went to Simon Mack (BRO), and Third Star went to Jacob Cuffley. 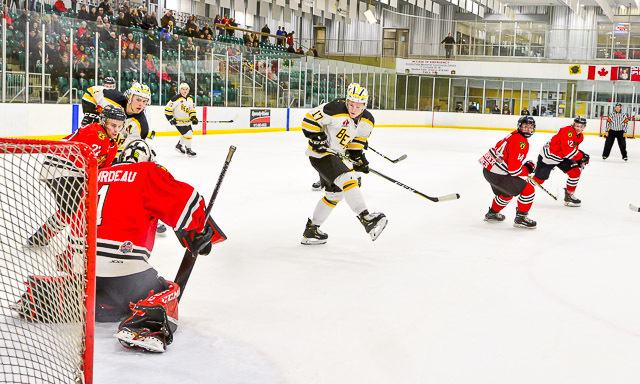 The boys still have a long way ahead for a chance to move on to the next round, as they have to win all three remaining games.